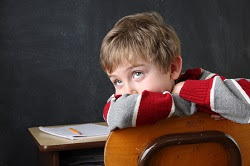 ADHD has been given a lot more attention over the recent years, most likely because we’ve seen an increase in the number of children with this attention disorder. In fact, according to the CDC, about 6.4 million children between the ages of four and 17 years old have been diagnosed with ADHD as of 2011. So, what exactly is ADHD and when should your child visit their pediatrician for an evaluation? When to see your pediatrician? If your child is displaying any of the signs of ADHD, it’s never a bad idea to bring your child in for a full medical evaluation. If their lack of concentration and attention is affecting their personal and school lives, it’s time to call your pediatrician to schedule an appointment.